For many years, our sisters have worked in the service of the elderly and sick in hospitals, nursing homes, and assisted living residences throughout the world. After thought and prayer, we felt it was time to establish a new assisted living community for seniors to meet the needs of a growing elderly population in Southern New Jersey. The goal of assisted living is to promote each resident’s independence and dignity, and provide individualized assistance when needed. Our Commitment to Excellence involves Quality care giving. Our Community is well planned, secure, and simple. Our Sisters live at the site in separate quarters and are dedicated to serving the elderly. 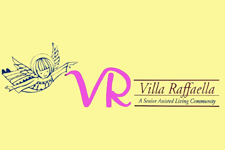 Villa Raffaella is a different kind of assisted care community because we believe in the God-given dignity of all men and women.